Tirana's 2018 Marathon welcomes also runners from around the world this year to become part of it. 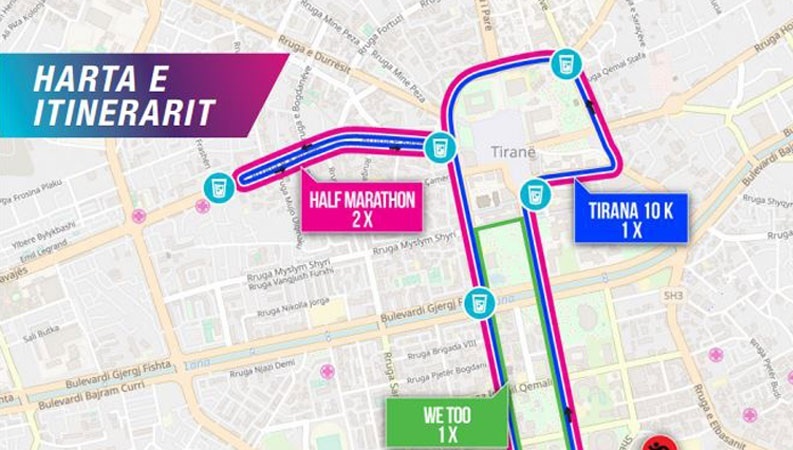 The Municipality of Tirana, which is the organizer of the third edition of this marathon, has received the approval of two new itineraries certified by the International Athletics Federation - IAAF. The itinerary describes the city's most attractive points turning this race not only into a challenge but also fun. In addition to a sports event for the contestants, will be also considered a festive day for the city, where many art-cultural activities will be organized within this event. Meanwhile recordings to become part of the Tirana Marathon are closed on September 30, 2018, at 00:00. Kavaja Street to the Catholic church and return.